Lama Tsongkhapa Day, or Ganden Ngamchoe, is a celebration of the anniversary of Lama Tsongkhapa’s parinirvana. It is celebrated on the 25th day of the 10th month in the Tibetan calendar. 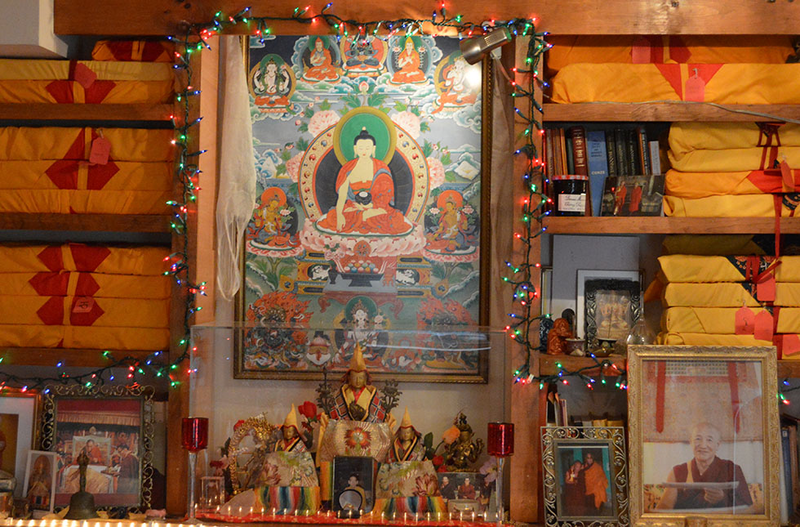 This year, Lama Tsongkhapa Day falls on Sunday, December 2. 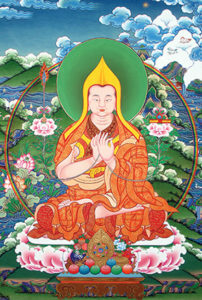 Lama Tsongkhapa (1357-1419) was a Tibetan Buddhist master whose studies and meditations in all the major schools of Tibetan Buddhism resulted in the founding of the Gelugpa lineage. He is also known by his ordained name Losang Drakpa (Wylie: blo bzang grags pa) or simply as “Je Rinpoche”. In his two main treatises, the Lamrim Chenmo (Wylie: lam rim chen mo) and Ngakrim Chenmo (Wylie: sngags rim chen mo), Tsongkhapa meticulously sets forth this graduated way and how one establishes oneself in the paths of sutra and tantra. In the monasteries at Mundgod and Bylakuppe, India, they light up all the temples and assembly halls with Christmas lights.